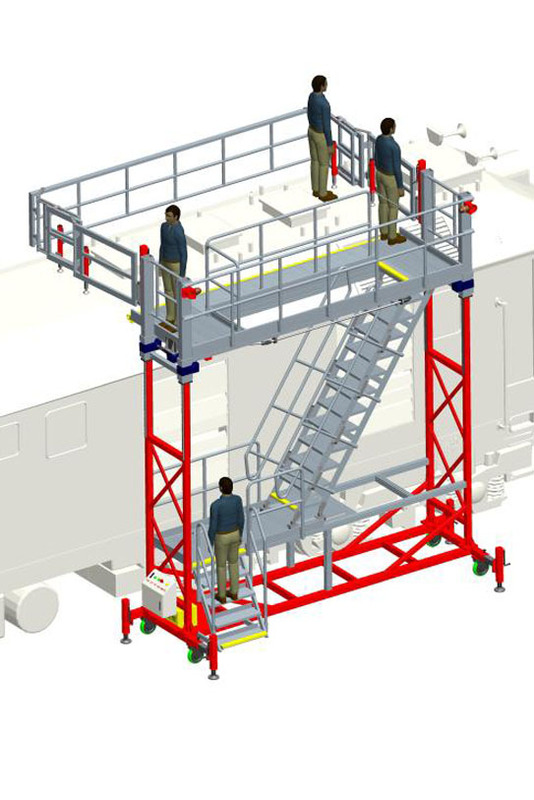 BTS provides mobile and stationary access systems to suit various requirements for numerous industries; aircraft service and deep maintenance, heavy vehicle, rail, manufacturing plant access & mining just to name a few. Design dependent, BTS structures are constructed entirely from lightweight aluminium or steel, or combination of both. Mobile structures are manufactured lightweight for ease of maneuverability. 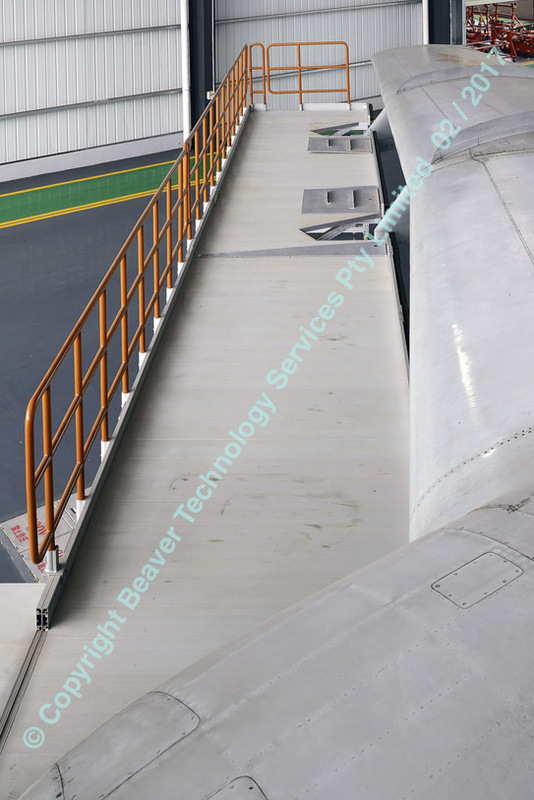 Covering of the platforms and walkways can be supplied in either coated plywood panels or gratings. BTS can provide turn-key solutions from design and fabrication to installation and commissioning, through our experienced team of dedicated design engineers and installers. BTS works closely with customers to ensure design brief can be met, produced and installed, providing most ergonomic, cost competitive and applicable standards compliant working environment. BTS prides itself in designing products to follow requirements of appropriate standards and testing regime required. Modular, easy to assemble/disassemble platform decks. Adjustable Decking plates in increments of 500mm wide by 1000mm long with polyurethane bumpers for protection of all surfaces adjust to allow leading edge to match contour of equipment being accessed. Individual rubber bumpers protect equipment during adjustment and work activities. Platforms of various sizes and shapes may be combined to surround large structures. 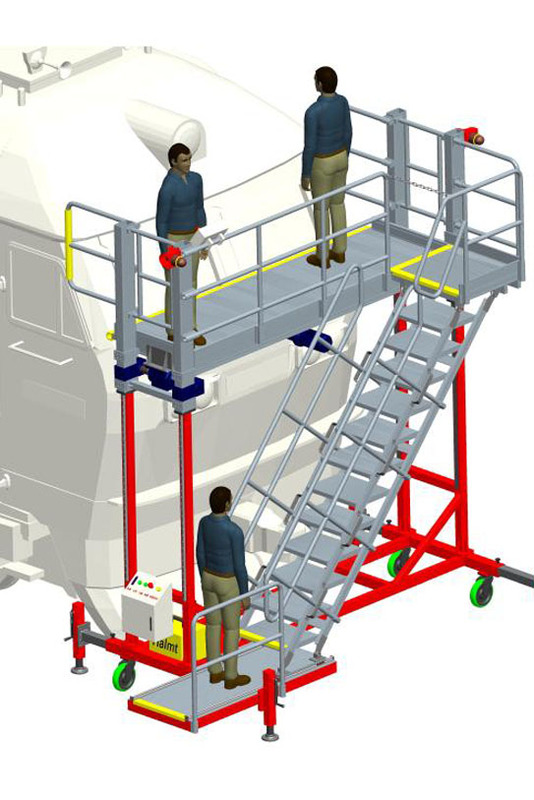 Various heights are available to meet specific application requirements. 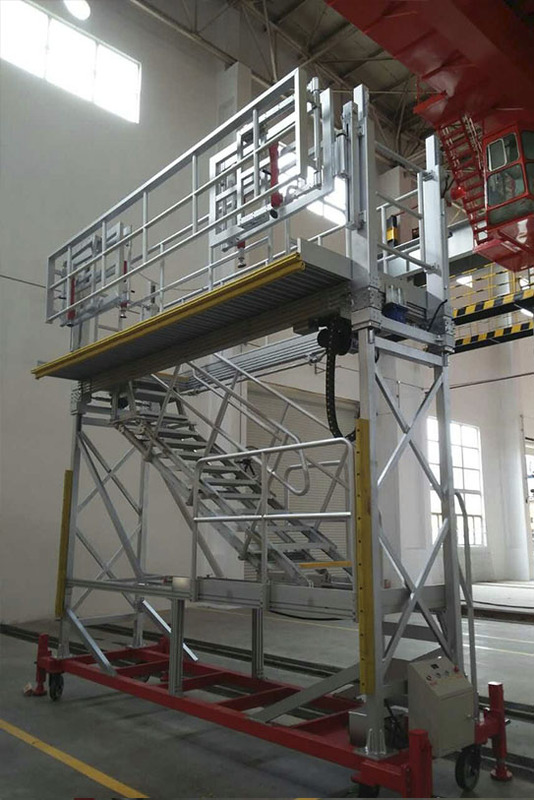 The access system including walkway, guardrail, stairs, ladders, platforms etc. BTS provides both engineering design and fabrication. Experienced engineering team to offer tailored proposals according to the customers' need. Lightweight, good-looking and corrosion residents. Stress and safety factors are considered and analysed during design. 500mm wide by 1000mm long with polyurethane bumpers for protection of all surfaces adjust to allow leading edge to match contour of equipment being accessed. 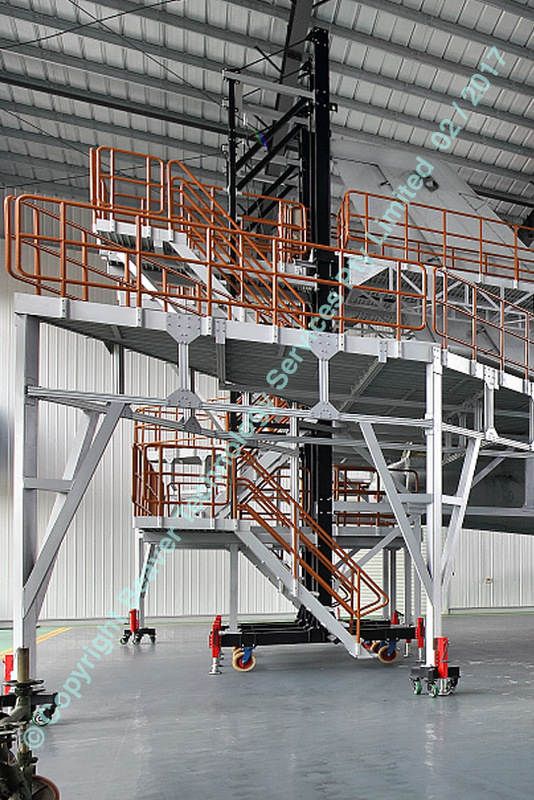 The aircraft docking system designed and developed by BTS is divided into 2 types, one for aircraft assembly, which achieved high efficiency, accuracy, and reliability for large components installation. 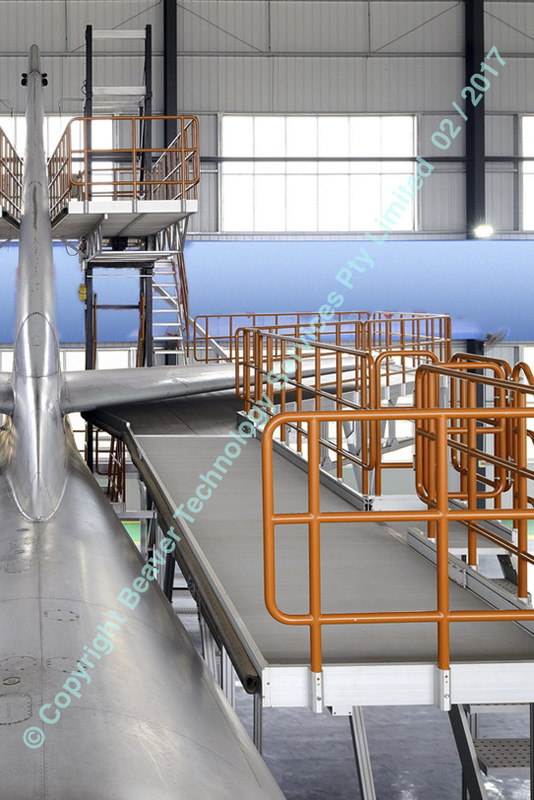 Another one for aircraft maintenance platform, which creates an environment for convenient, reliable and safe aircraft maintenance. 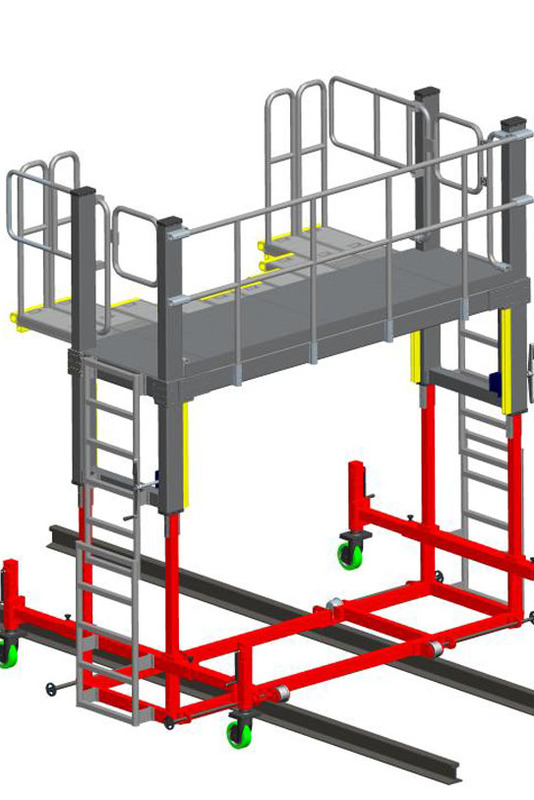 Servicing Platforms are designed to be modular in construction, portable and easy to manoeuvre. 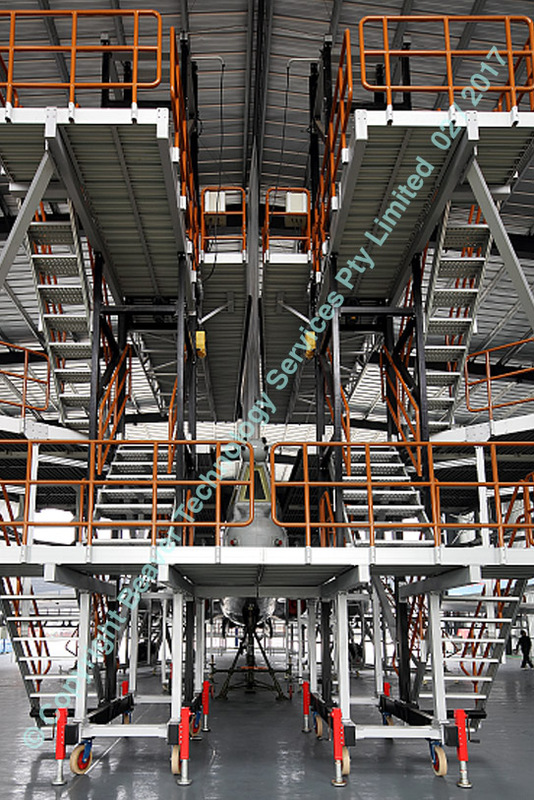 BTS product solutions is based predominately around strong but lightweight aluminium structures. Platforms feature a compact design with two flooring options; non -slip coated structural plywood or tread plate aluminium panels. Our system provides guardrail protection around all working platforms without obstructing the servicing process. 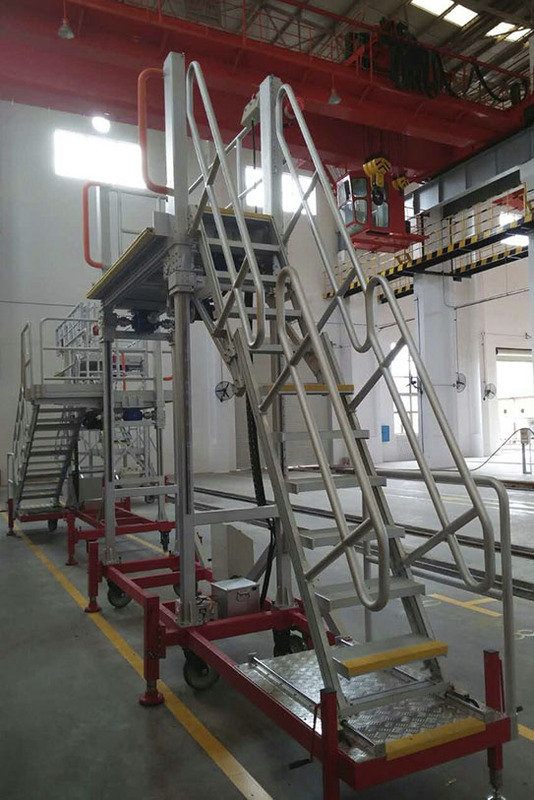 The entire structure consists of individual mobile platforms which are easily movable and connected. 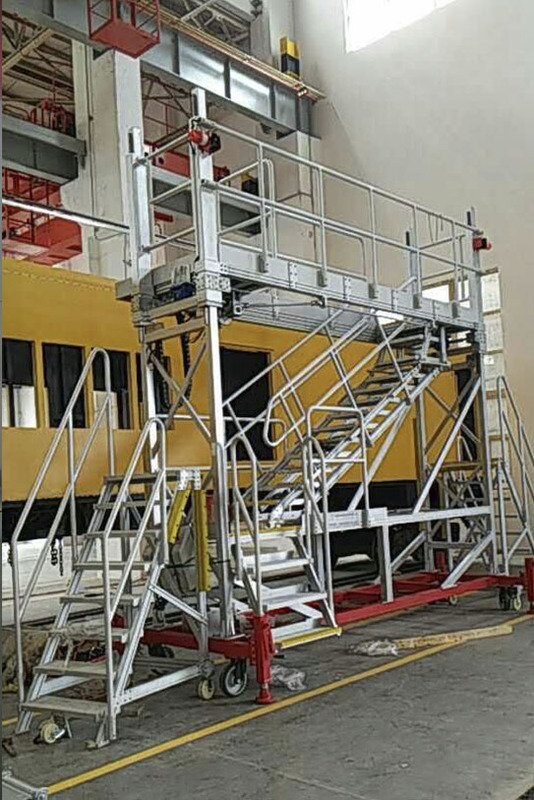 Each platform can be used independent of another when necessary and provide the same level of perimeter safety during maintenance process. 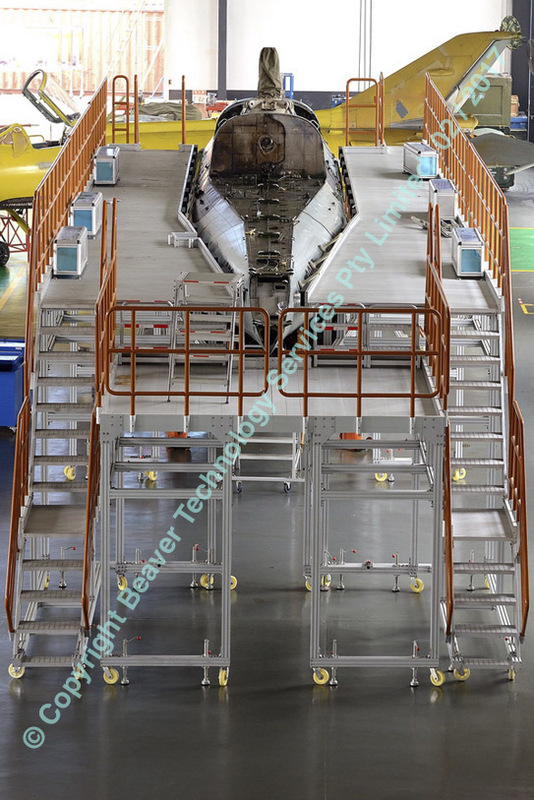 The platforms are height adjustable to carry out work with the aircraft’s landing gear on or off the ground. 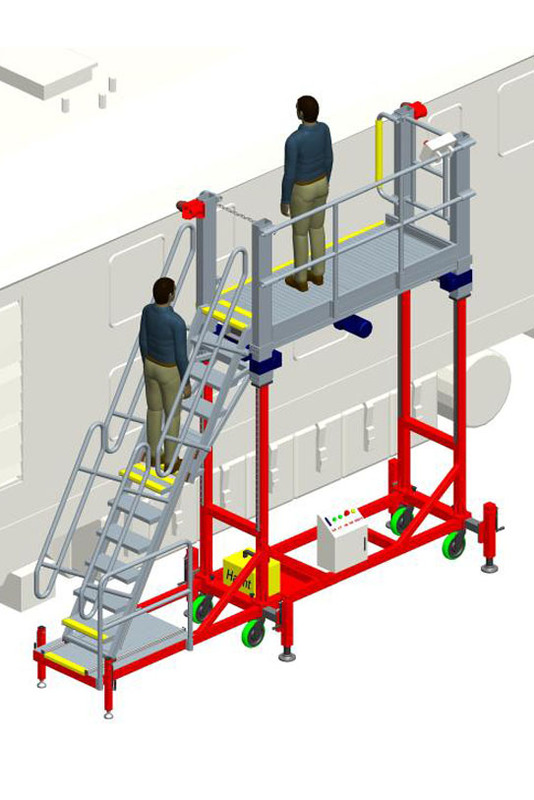 Platforms servicing engines 2 & 3 are designed to allow lifting tripods be installed or removed while the platforms are in use. lighting, fire protection and so on . 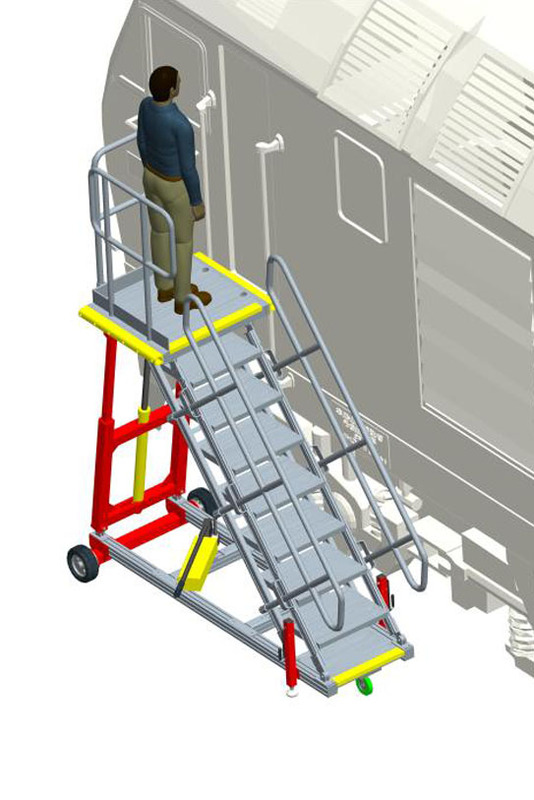 Designed to be easily positioned under the plane’s designated work area. 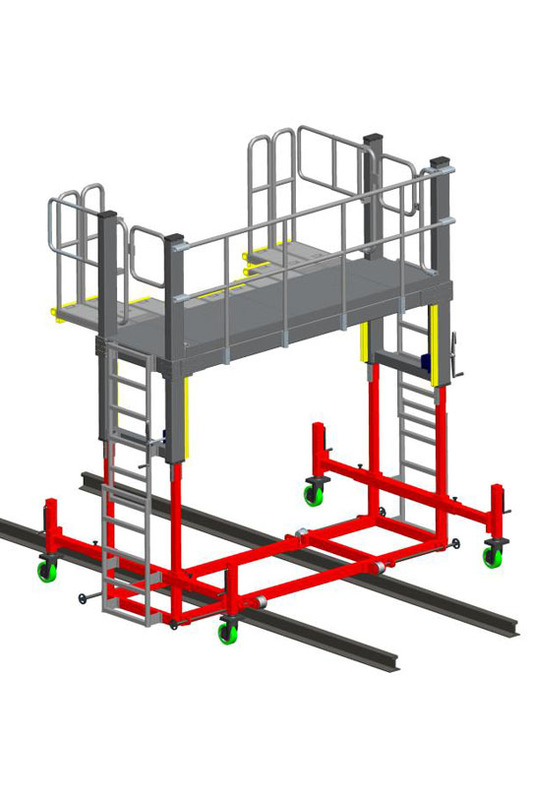 Modular platforms are designed for quick assembly and installation. 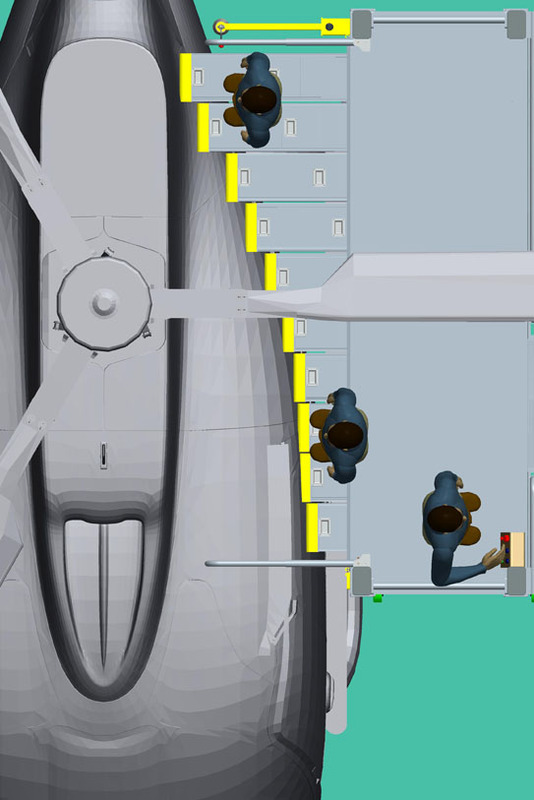 Engine platforms configuration allows quick set up for propeller rotation, service and removal, while other work can be carried out on the engines and wings. 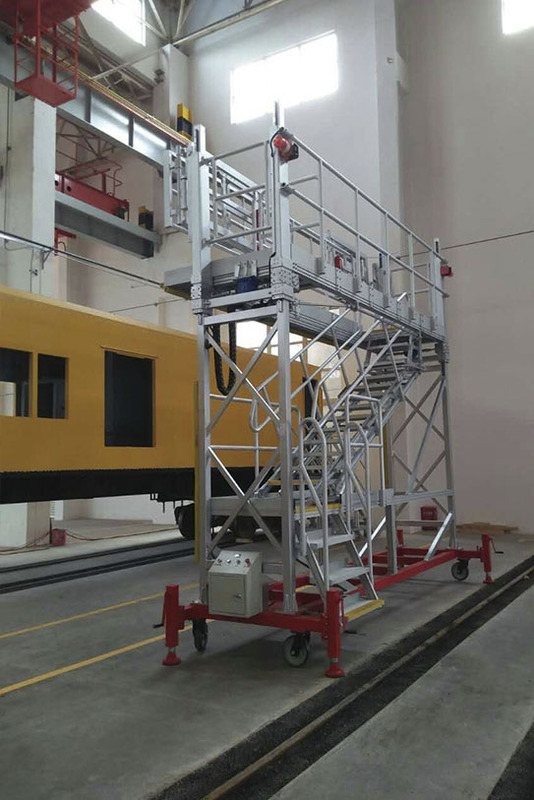 The rail inspection platform system includes either permanent inspection / maintenance platforms or mobile inspection / maintenance platforms or both. 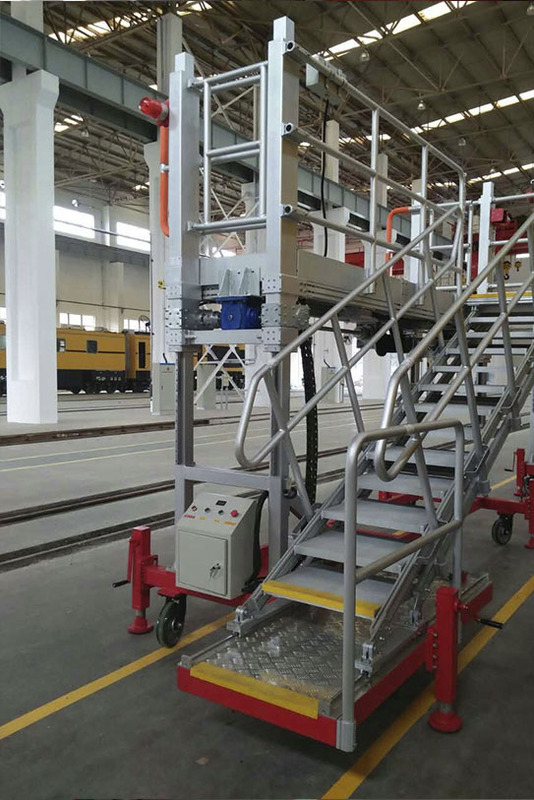 These platforms are widely used in vehicle inspection like high speed train, subway, metro, light train, buses and so on. 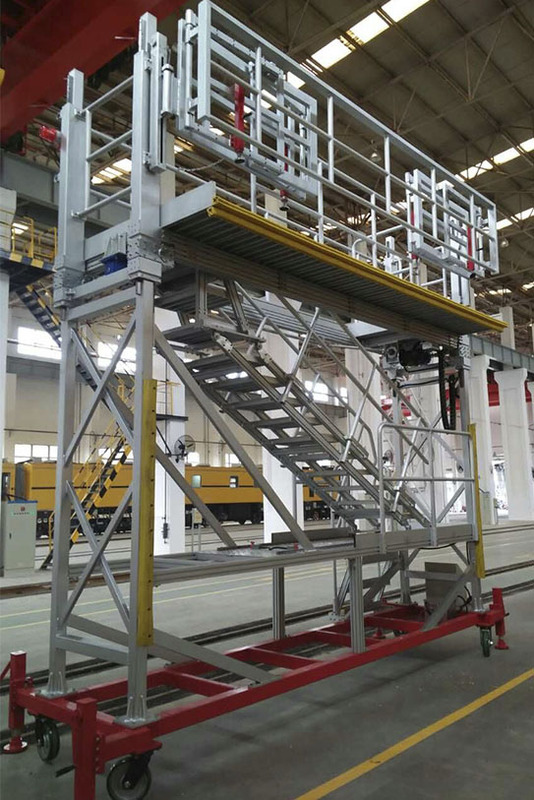 The platform system allows for complete functionality including lifting, walking, safety protection, electricity supply, lighting, fire protection and so on. Platforms of various sizes and shapes may be combined to surround large trains.